Piso Fare 2019 Promos Until 2020: Piso Fare of Php 28 only! 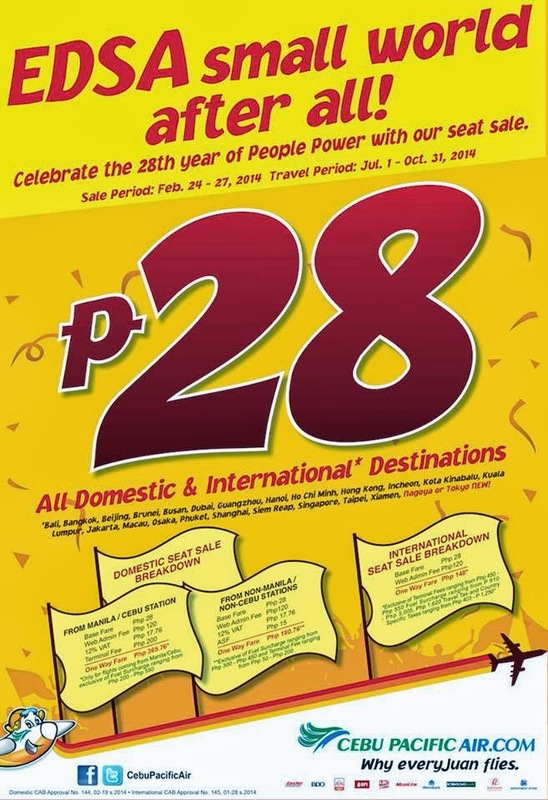 Piso Fare: Celebrate the 28th year of the People Power with Cebu Pacific's Seat Sale! All flights' Base Fare is on P28.00 only! EDSA Small World After All! #CEBseatsale! So grab this chance now to book your tickets online! All domestic and international flights are on promo. Please read the details below for further information.